Frederick W. Alworth | Professionals | Gibbons P.C. Mr. Alworth currently serves as the Vice Chairman of the New Jersey State Ethics Commission, and is also a past president of the Essex County Bar Association, New Jersey’s largest and oldest county bar association. He is Team Leader of the firm’s General Equity practice and has extensive trial experience in all aspects of civil litigation, appearing regularly as trial counsel before state and federal courts, as well as the American Arbitration Association. He recently defeated a challenge to a $1.1 billion bond issuance, which is part of a larger $2.7 billion financing package involving one of the largest public-private development projects on the East Coast. Mr. Alworth has served as lead trial counsel in business and real estate related litigations throughout New Jersey, New York, Pennsylvania, Delaware, Arizona, Wisconsin, Nevada, Virginia, and Florida. He frequently lectures for the Institute for Continuing Legal Education and presently serves as Vice Chair for the Equity Jurisprudence Committee of the New Jersey State Bar – routinely involved in emergent and expedited proceedings involving injunctive relief. Prior to joining Gibbons, Mr. Alworth served as a law clerk to the Honorable Harry A. Margolis, Presiding Judge for the Chancery Division of the Superior Court of New Jersey, Essex County, and since then has earned the trust of the judiciary and the bar, serving as court appointed counsel on numerous matters and as a Condemnation Commissioner for property condemned by the New Jersey Department of Transportation due to the change in infrastructure for the New Jersey Performing Arts Center. Committed to the public interest and the community, he served as the firm’s pro bono coordinator for over five years, overseeing cases relating to children’s rights, domestic violence, 9/11 recovery for families, assistance for military families, and rights for disabled citizens. He is active in several philanthropic/charitable and athletic organizations throughout New Jersey. Routinely involved in expedited litigation for companies, public entities, and individuals, in state and federal courts where the litigation commences with an order to show cause/request for or the defense of a temporary restraining order. For example: Pena v. New Meadowlands Racetrack LLC, 2012 U.S. Dist. LEXIS 4257 (D.N.J. Jan. 10, 2012). (Representation of New Jersey Sports & Exposition Authority in connection with a temporary restraining order involving the privatization of the Meadowlands Racetrack). Representation of the New Jersey Sports & Exposition Authority in an emergent action in the Appellate Division, which affirmed the Authority’s approval of $1.1 billion in municipal bonds to finance development of the American Dream project in the Meadowlands. N.J. Alliance for Fiscal Integrity, LLC v. N.J. Sports & Exposition Auth., 2016 N.J. Super. Unpub. LEXIS 2174 (App. Div. Oct. 3, 2016). Represents developers, owners, and contractors in multiple real estate development projects. For example: Ameream LLC v. New York Football Giants, Inc., 2013 N.J. Super. Unpub. LEXIS 2353 (Law Div. Sept. 30, 2013); New Meadowlands Stadium Co., LLC v. Triple Five Group Ltd., 2012 N.J. Super. Unpub. LEXIS 1920 (Ch. Div. Aug. 9, 2012). (Representation of the New Jersey Sports & Exposition Authority against the New York Giants and Jets in connection with the American Dream project). Represents large corporations, as well as small and medium sized closely held companies, in all facets of business and contract disputes. For example: Boston Mkt. Corp. v. Hack, 2007 N.J. Super. Unpub. LEXIS 2816 (App.Div. Aug. 20, 2007); (Judgment for plaintiff after trial—specific performance) and Lane v. Schmied, 2008 N.J. Super. Unpub. LEXIS 1014 (App.Div. Feb. 11, 2008) (Judgment for defendant after trial on complaint for rescission). ITT Commercial Finance v. Pierre Development, et al., A-2841-02TS (N.J. Super. App. Div. 2004), 183 N.J. 212 (2005) ($15,000,000 judgment for plaintiff after trial). Represents employers and employees often involving request for, or defense of, temporary or preliminary injunction. Has served as Vice Chair Equity Jurisprudence Committee of the New Jersey State Bar Association (NJSBA), as a panelist on chancery litigation for the NJSBA, and on multiple ICLE seminars. Represents minority shareholders, majority shareholders, and close corporations. 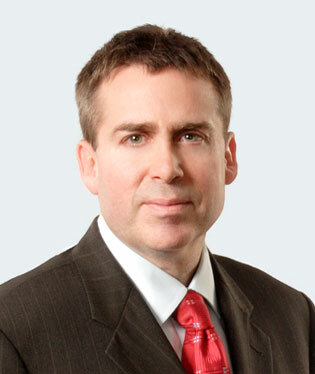 Has served as a panelist for ICLE and the NJSBA on shareholder litigation. Prosecution and defense of debtor/creditor litigation. For example: 21st Capital Corp. v. Tiffany & Co., 2008 N.J. Super. Unpub. LEXIS 2281 (App.Div. Feb. 6, 2008) (Dismissal of case for Tiffany, defense of claim for $1.7 million owed). Represents numerous developers, the state of New Jersey, and other public entities on infrastructure and development projects at the Meadowlands (privatization of Meadowlands Racetrack and Monmouth Park), as well as in connection with the Bayonne and Goethals Bridges. For example: Coalition for Healthy Ports, et al. v. The United States Coast Guard, et al., Civil Action No. 13 CV 5347 (RA). Routinely advises businesses and executives in confidential sensitive matters; and, in conjunction with litigation avoidance, works with a public relations and government relations team. Often consulted in connection with creative ways to avoid litigation and minimize risk. Represented title insurers and real estate developers. For example: Stewart Title Guar. Co. v. Harris, 2006 N.J. Super. Unpub. LEXIS 1965 (App.Div. Oct. 18, 2006); Chassen v. Fid. Nat’l Fin., Inc., 2013 U.S. Dist. LEXIS 8937 (D.N.J. Jan. 22, 2013); Walsh Secs., Inc. v. Cristo Prop. Mgmt., 2012 U.S. Dist. LEXIS 132221 (D.N.J. Sept. 14, 2012). Experience with will contests and guardianship issues. ITT v. Pierre Development, A&P and Amboy Bank (Union County Chancery Division): This five-year long litigation matter arose from a mortgage foreclosure fraudulent conveyance action. The case marshaled the resources of various departments within the firm, including Real Estate, Business & Commercial Litigation, Environmental, Financial Restructuring & Creditors’ Rights, and Corporate, working together. Adversary filed an offer of judgment for $180,000. Gibbons obtained a $15 million judgment for ITT after trial, which the Appellate Division and Supreme Court of New Jersey later affirmed. Police Foundation v. County of Essex (Essex County Law Division): Obtained a ruling of no cause after trial for County of Essex/Essex County Prosecutor for contractors’ violation of Local Public Contract Law. Boston Market v. Myrus Hack (Bergen County Chancery Division, Affirmed by Appellate Division and New Jersey Supreme Court): Judgment for specific performance for Boston Market after trial stemming from McDonald’s purchase from bankruptcy of certain assets and leasehold rights owned by Boston Market. 21st Capital v. Tiffany and Company (New Jersey Appellate Division affirmed – A-2602-06T2): Obtained summary judgment for Tiffany and Company after a two-and-a-half-year litigation involving fraudulent factoring scheme (approximately $1.7 million). The case involved three parallel bankruptcy proceedings of two vendors and a vendor’s principal. Lane v. Schmied: (Bergen County Chancery Division, Affirmed by Appellate Division): Obtained a ruling of no cause after trial for the defendants in this rescission/fraud complaint involving the sale of real property. McLane Foodservice, Inc. v. Ready Pac Produce, Inc.: Representation of a national food service distributor in multiple forums in conjunction with a multi-state Escherichia Coli (e-coli) outbreak. Cases in U.S. District Court, District of New Jersey, District of Pennsylvania, and New Jersey State Court. New Meadowlands Stadium Company, LLC, et al. v. New Jersey Sports & Exposition Authority: Representation of New Jersey Sports & Exposition Authority in defense of a Complaint filed by the New York Giants and the New York Jets and the impact of proposed modifications to the American Dream project (formerly known as “Xanadu”).